Normal Not Found: What Letter Should I Start with When Learning a New Typeface? What Letter Should I Start with When Learning a New Typeface? Note: If you are unfamiliar with typography terms I recommend you reference this guide. I use the sentence, "The five boxing wizards jump quickly" to see what every letter looks like in the typeface. This is the sentence I will be referencing in the images below. I find the wizard sentence makes me smile more than the typical "The quick brown fox jumped over the lazy dog". I am all about efficiency. When I started hand lettering last month I started with the letters of my name first. 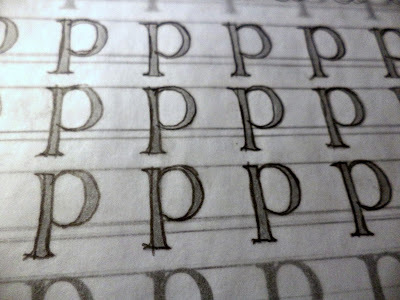 I recently realized when I start learning a new typeface to letter, I should start with the lowercase P.
The curve of the lobe in the letter P is very similar to the curve of other letters. See the example of the letter C above. 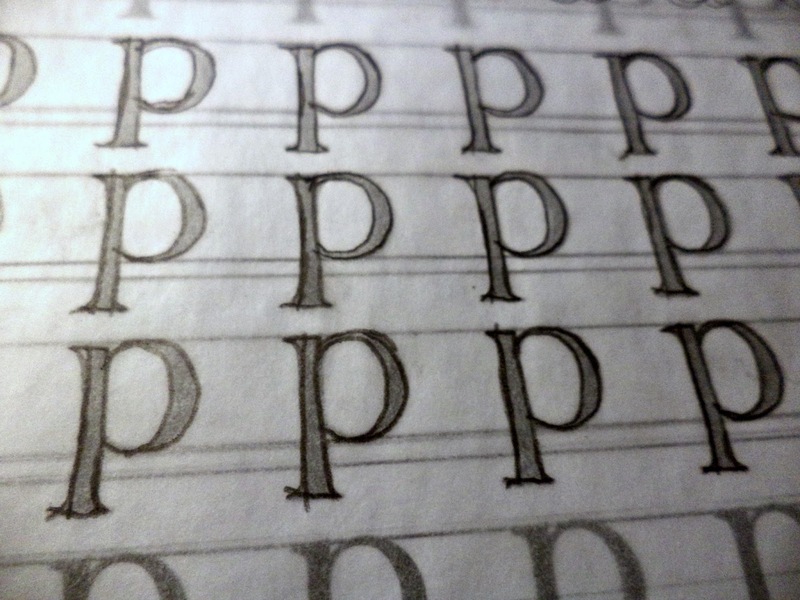 As you practice the letter P you can use the muscle memory on other letters such as the lowercase C and lowercase O. The stem of the lowercase P can be used in other letters as well. See the stem of the lowercase M above. When you practice the letter P, you get used to the thickness and can use it in other letters such as lowercase M, lowercase U and others. Do you have any hand lettering tips that you've picked up? Send me an email at normalnotfoundonline@gmail.com and let me know!